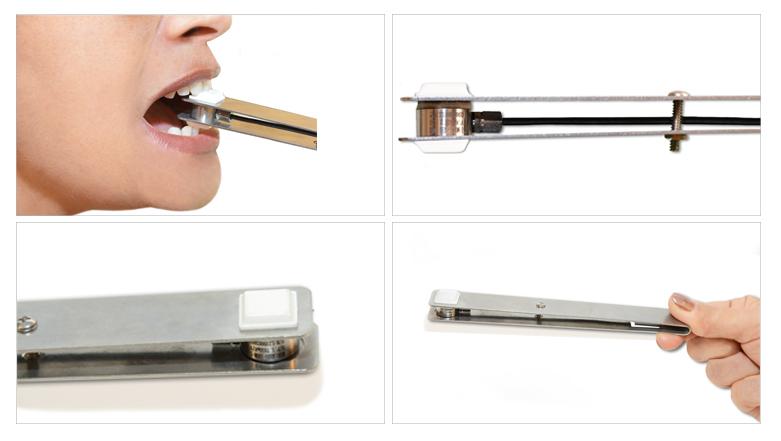 iBite Force Sensor allows a physician to measure bite forces that a patient can apply. This tool can be used to study the progress made by a patient following surgery or dental procedure. The solution is available in two configurations - wired USB or wireless as shown below. The bite force sensor solution comes fully calibrated and ready to use out of the box. And it comes with a calibration certificate good for one year. Plus a 30 day money back guarantee. The sensor is just 5/8 inch high and 6 inches long. This makes it easy for a patient to hold it in their hand, insert it in the mouth and apply pressure when instructed by the physician. 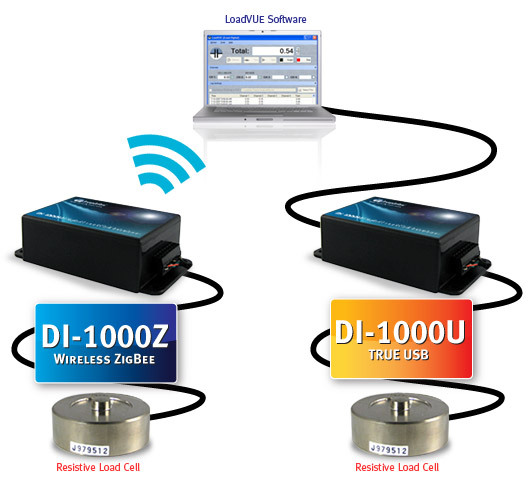 The DI-1000 Interface device allows the sensor to be used in either USB mode or in wireless mode. It appears as a COM port on a Windows, Mac or Unix computer. The DI-1000U regulates the power supplied to the sensor, amplifies the signal and digitizes the signal. Finally it formats the data into the USB or Wireless protocol to facilitate communications with a computing device. The wireless version is available in XBee, WiFi or BLE modes. 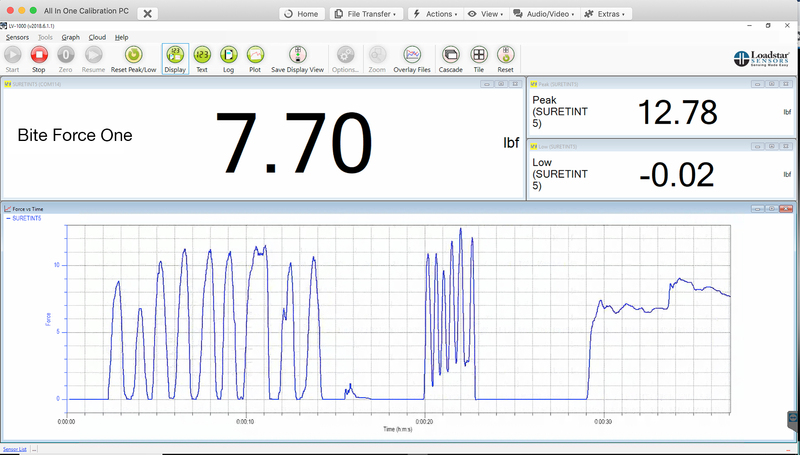 The LV-1000 LoadVUE Pro software allows data to be displayed, logged to a Comma Separated File (CSV) and plotted on screen. Users can write their own code in any language such as C, C++, Java, Python etc. or using popular tools such as Matlab or LabView.